Monterio Life has filmed something really weird and they don’t know what it is. And I have to say, I also don’t know what it is, I have never seen something like that before. I also do not know how to describe it but it is alive and it is trying to walk, it has is a head, eyes and mouth and something like some sort of insect legs. Is it a walking plant, an insect? Is it an ill-favored young bird? 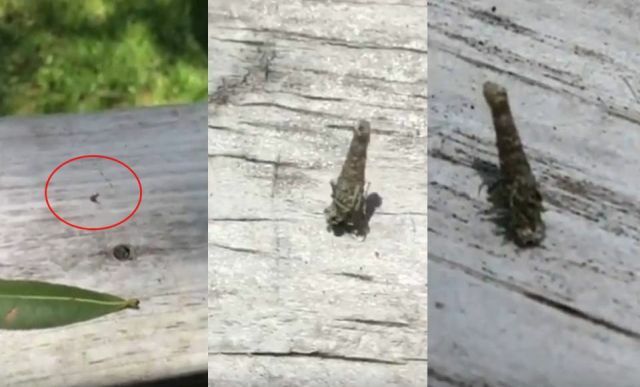 Is it alien or there is an explanation for this tiny creature?